As promised, I’m sharing the podcasts of the artists and writers panels I was on during No Such Con this past weekend. I had a lot of fun at the show (which you can read about in Tuesday’s blog piece: jmdesantis.com/2017/02/no-such-con-2017-write-up/), and both panels were great to participate in. Thanks again to our moderator, author Thomm Quackenbush, for having me on them. 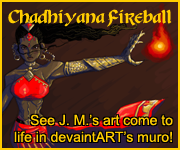 In both podcasts I talk extensively about Chadhiyana and Gentleman Cthulhu, plus you’ll hear from other artists and writers about their own work. I also talk a bit about my opinions on world building in the writer’s panel. Though, I do want to stress, you’ll have to turn your volume up when I’m talking. I was sitting a little away from the microphone, and I have a tendency to be soft spoken (my apologies to my listeners). 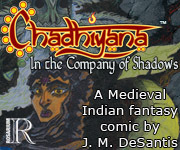 Also, for my Chadhiyana fans, I gave slightly different answers to similar questions on both panels (though most of the questions from each panel were different). That said, though the answers differ, in all cases both are true. As for Gentleman Cthulhu, fans will get a chance to hear some of my thoughts about the comic and what decisions go in to making it. I’ve embedded both podcasts here in this blog, though if you follow the links at the bottom of this blog, you can listen to them on or download them from Thomm Quackenbush’s site. Also, the panel descriptions and notes below are from Thomm’s site. I’ll keep it short (short for me, that is), as I’d rather you spend the time listening to the panels. See you next week when I finally launch my Patreon page! A panel with artist Dezi Sienty, J.M. DeSantis, KEZ, and Peter Tarkulich, moderated by Thomm Quackenbush at Vassar College’s No Such Convention 2017. A panel with writers J.M. DeSantis, Natalie Van Sistine, and Peter Tarkulich, moderated by Thomm Quackenbush at Vassar College’s No Such Convention 2017.